Happy Friday y'all! Hope you've had a great week. We're excited to announce the arrival of our brand new collection of tumbling initial makeup bags. 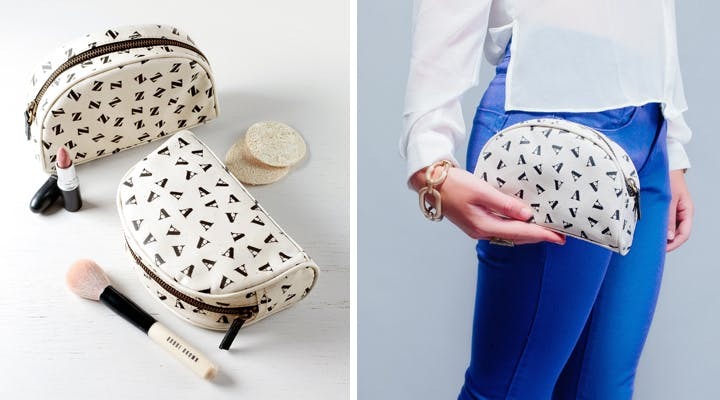 These little makeup bags are ideal for when out and about and are just the right size for all your makeup essentials. Available in every lovely letter of the alphabet, naturally. The little initials are printed in black on natural cotton with a smart matte laminate. The interior is lined with black nylon and there is a small but handy internal zip pocket. You can see the full collection by clicking here.